How modern is mental health? Rebecca Noble is the latest CHM student to take up an internship at University Hospitals Coventry & Warwickshire. Have you ever felt ‘mad’ with grief? Do you feed a cold and starve a fever? Does the damp or cold get into your bones in the winter? 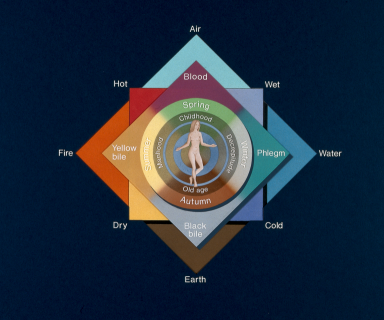 Can you feel the weather change in your body? Do you sometimes wonder what ‘possessed’ someone to behave in a certain way? These things are common to many of our experiences of illness, emotions and managing our daily lives. But why do we think like this? We still use many phrases that help us to understand health based on ideas of balancing different influences in the body. ‘An apple a day keeps the doctor at bay’ reminds us to eat well to maintain good health. ‘Feed a cold, starve a fever’ provides us with a method for getting better when we’re ill: warm and hearty food helps to replenish a body suffering from a cold – just think of chicken soup! We need to cool down and don’t tend to have a very large appetite when we have fevers. These things help to restore humoral balance. This way of understanding our minds and bodies feels very familiar to many of us. In fact, it is quite different to the medical ideas used by doctors in much of the world today. Humoral beliefs are really very old! They also have been found all over the world in medicine from China, India, the European and the Middle East, and the Americas. Humoral ideas have connected mental and bodily health to outside factors like supernatural forces, celestial bodies, the seasons, food and drink, grief, anger and other kinds of emotional turmoil and stress. How do you think about the way your mind and body work? And what do you know about how other people have thought about mental health in the past and present? Click on 'How modern is mental health' and 'Meet an eighteenth century doctor' at the top of this page to find out how much you already know about humoralism and mental health in the past and present and to learn something new! 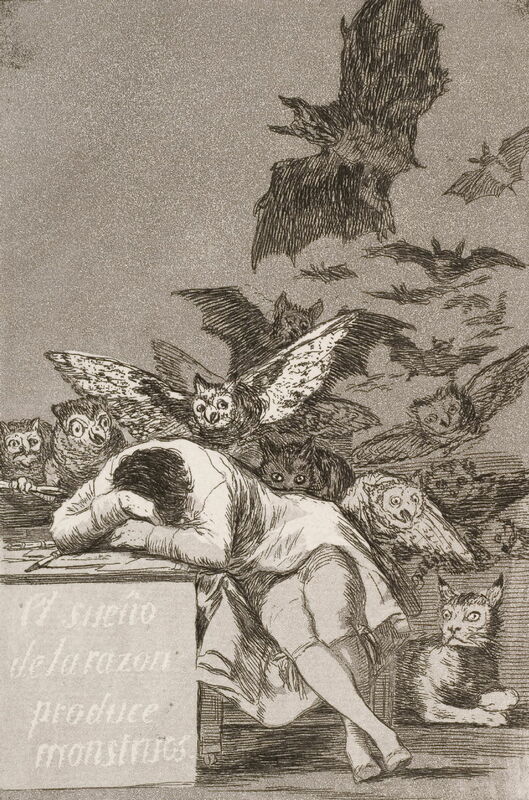 Francisco Goya's 'The Sleep of Reason produces monsters' (No. 43), from Los Caprichos, c.1799. I am a PhD researcher with the Centre for the History of Medicine at Warwick University. I am very interested in how history can help people to think about their own mental health and wellbeing and how also how this information can help medical practitioners to help us!